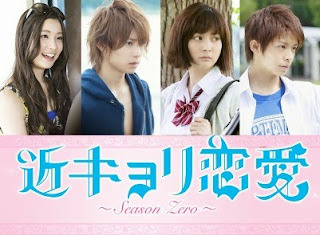 "Drama version of the live action movie Kinkyori Renai based off the manga Kinkyori Renai by Mikimoto Lin." sorry for super late reply, if you still need kinkyori's eng sub just leave your email here, i'll send it by email. is this one different from the kinkyori renai that yamapi will be haruka sakurai? Yes it's different, it's about young Haruka Sakura played by Abe Aran. Please send me the english subtitles. My e-mail is eneidacastro@gmail.com Thank you in advance. can you send me english sub.....my e-mail is preman.louis@gmail.com.